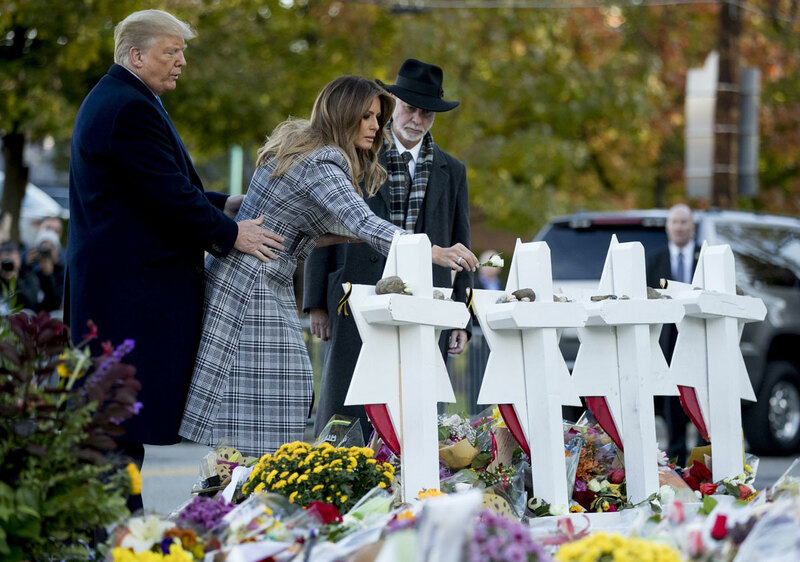 As the Trumps placed their tributes outside the Tree of Life synagogue, protesters nearby shouted that the president was not welcome. The emotional, dissonant scene reflected the increasingly divided nation that Trump leads. One stone and one white rosebud for each victim.